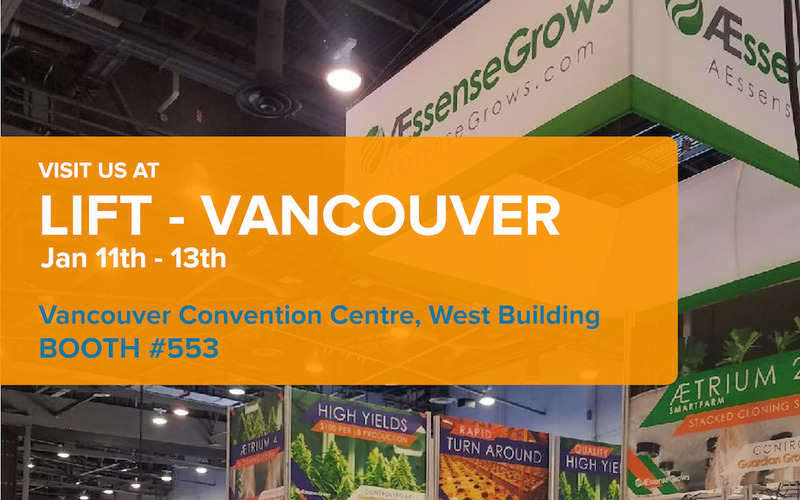 The AEssenseGrows team will exhibit at the Lift & Co. show next month in Vancouver, the first of what promises to be a busy year of trade conferences. Our team will discuss how our precision aeroponics system works, and the benefits--like faster time to harvest--you could expect to see from it. The exhibition floor is open Jan. 11 to 13 at the Vancouver Convention Centre, and you can find us at Booth 553.